Healthy sprouts require growing conditions which provide clean water, lots of oxygen and cooling. Previous sprouters do not optimally provide all of these conditions to easily produce high quality, easy-to-grow sprouts EVERY TIME. 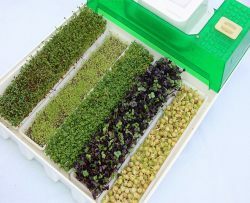 We believe the EasyGreen sprouting system is the best automatic home sprouting system money can buy. Seeds generate chemical heat during germination. They need to be cooled to prevent mold and rot. The EasyGreen uses a patented technology which provides a cooling water mist and oxygen simultaneously to the seeds on a adjustable timed basis throughout their growing cycle. Seeds require little water but abundant amounts of oxygen, the catalyst of germination. Conventional sprouting methods supply plenty of water yet only provide air by natural displacement. The EasyGreen mist generator provides timed doses of high volumes of fresh oxygenated air. Oxygenating the water and cooling the seeds in one simple operation. The digital thermometer indicates the ambient temperature (39 degrees Celsius) and the temperature inside the growing compartment of the EasyGreen. Managing and controlling the humidity within the sprouter is critical to the sturdiness of the sprouts. The EasyGreen allows the grower to fine tune the environmental conditions with its 96 point activation timer. As an example, in warm, humid areas such as Hawaii, Florida, or Brazil it is virtually impossible to sprout with conventional methods. The EasyGreen can work effectively under extreme conditions year round. Inhibitors in seeds are their natural defense mechanism against germs and bugs. Other sprouters either re-circulate the same water or require you to manually rinse them 3 to 6 times a day. This is either time intensive or the seeds are irrigated with re-circulated water containing polluting toxins and inhibitors, thus defeating the concept of rapidly growing clean sprouts with little effort. 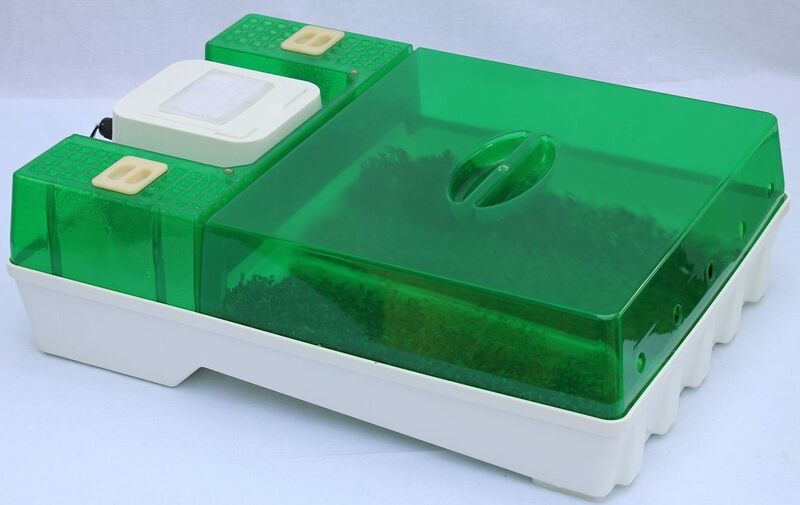 The EasyGreen automatically soaks and rinses the seeds as many times as needed a day and drains all used water outside the unit. No currently available sprouter contains a water reservoir for growing flexibility. With the EasyGreen you can select the source of water, be it de-mineralized, distilled or Reverse Osmosis. The reservoir allows the addition of minerals that enhances growth such as liquid kelp or hydroponic growing solutions. The grower can add solutions that assist in disinfecting the crops, such as hydrogen peroxide. Sprouters that use an automatic irrigation system need to be on-line (plumbed or other wise linked to the water line) and use 3 to 5 gallons a day. The EasyGreen uses only about 1/2 gallons a day and is a stand alone unit. There is even an automated disinfecting cycle to help maintain sanitary conditions. Only advanced large commercial systems have a similar function. 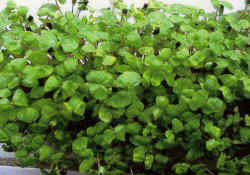 Conventional sprouters require a pre-soaking operation of 8 to 24 hours before commencing the propagation cycle. The EasyGreen requires NO presoaking! Seeds are placed in the tray or cartridges DRY and the machine takes over, thus saving you an extra day of manually handling the seeds. One has to be patient with regular sprouters. Because the EasyGreen automatically mists the seeds with water and fresh oxygenated air you will obtain ready to eat sprouts 15% to 40% quicker than other sprouting methods. The EasyGreen modular system is the only one available in the world which can be stacked up to 5 or 6 high. There is no need to dispose of an old unit to purchase a larger sprouter. You can start with one machine and expand as your needs change with no need for additional counter space. 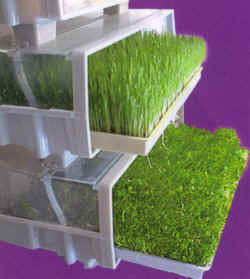 With other sprouting machines, one has to purchase multiple machines if the choice is soil (for wheatgrass or sunflower seeds) and soil-less growing. With the EasyGreen you may utilize both concepts with no damage to the machine or crops. Crop management has always been a pain with all previous growing units. With the EasyGreen there is no extra handling or need to remove the sprouts from the growing area and placed in containers. 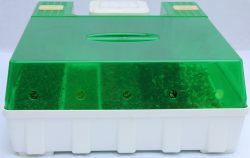 The EasyGreen comes with rectangular cartridges where the seeds grow, same cartridges are used for refrigeration, thus saving space. According to Dr. Ann Wigmore, a 5 day growing cycle for seeds such as alfalfa, broccoli, radish, clover and other similar seed is ideal. The EasyGreen system is the only one on the market using 5x cartridges, allowing for a self-indicating rotation on cartridges ready for harvest. According to Dr. William Peavy, author of Super Natural Gardening, seeds need to be consumed on the 5th or 6th day of germination. Thereafter the young sprouts use their abundant amount of minerals and vitamins for their own growth. No other system gives one an automatic indicator. You may harvest a cartridge a day! Undecided on which sprouter to purchase? Take a look at our sprouter comparison chart. These unique features assure your success at growing healthy, clean sprouts. This is why there are patents and intellectual property rights on the EasyGreen germination technology. If you are serious about consuming organic, raw, healthy, clean, live food with minimal work and maximum results, the EasyGreen automatic sprouter is for you. The EasyGreen Sprouter is the Best Automated Sprouter in the World. Enjoy fresh grown sprouts in your kitchen! 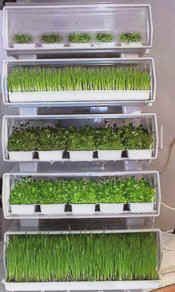 The EasyGreen sprouting appliance was developed out of the growing demand for organic health food. The EasyGreens unique technology empowers the individual to maintain a high potency immune system, by providing natural vitamins, mineral and enzymes that no other food or artificial supplements can rival. 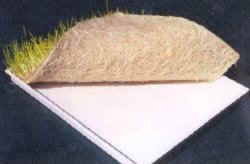 Seeds generate chemical heat during germination and need to be cooled to avoid mold and rotting. The EasyGreen uses a patented technology where mist and oxygen are applied simultaneously to the seeds, thus both cooling the seeds water and air and oxygenating the seeds and water. Sprouts require little water but abundant amounts of oxygen. 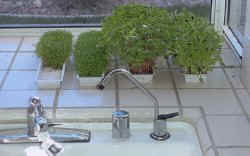 Other automated sprouters and conventional sprouting methods supply plenty of water yet only provide natural air displacement. Inhibitors in seeds are the natural defense mechanism of seeds acting as a deterrent for germs and bugs. Some sprouters re-circulate the same water! Your sprouts are then irrigated with water containing toxins and inhibitors, defeating the concept of using clean, good water for your sprouts. Bearing in mind that sprouts are made of 80% water, using clean water makes sense. The EasyGreen drains all used water out of the machine. The water reservoir allows adding minerals that enhances growth, such as liquid kelp or hydroponic growing solutions. No known conventional or automatic system allows the same flexibility. The built-in water reservoir allows the grower to add solutions that assist in disinfecting the crops, such as hydrogen peroxide. The EasyGreen rinses automatically as many times as needed a day during the complete growing cycle. The EasyGreen requires NO presoaking. Seeds are placed in the tray or cartridge DRY and the machine takes over, soaking, rinsing, misting, oxygenating and draining automatically. The misting and oxygenating automatic cycles assures quickest harvest. 15% to 40% quicker then any sprouting method. Unlike other automatic sprouters, the EasyGreen uses a mist generator. No sprinkles or foggers that will clog and may stop irrigating without the grower being aware. Some growers prefer to use soil for some crops such as wheatgrass or sunflower greens. Other sprouting methods are soil or soil-less (Hydroponic). The EasyGreen may use both concepts! With no damage to the machine or crops. Sprouts taken out of conventional systems needs to be placed in a secondary pan such as a Tupperware for refrigeration. The EasyGreen cartridges with unused sprouts can be placed directly into refrigeration for later use. Some sprouting systems have a round shape. The EasyGreen uses rectangular cartridges and trays, allowing refrigeration of unused portions of a tray or cartridge using minimal space. The EasyGreen has an automatic disinfecting cycle. It is easy to keep high sanitary conditions within the machine. Only large commercial systems have a similar function! The Mist Generator the heart of the machine, uses 120v/60Hz and is rated at only .55Amp, using a negligible amount of electricity. Sprouts are one of the most complete and nutritional of all foods tested. Sprouts are real-life RAW vitamins, minerals, proteins and enzymes. Their nutritional value was discovered by the Chinese thousands of years ago. Recently, In the USA numerous scientific studies suggest the importance of sprouts in a healthy diet. Natural vitamins, minerals and enzymes in sprouts replace the need for artificial supplements. Because sprouts (germinated seed) are predigested food,. they have a higher biological efficiency value then whole seeds, raw or cooked. Less food is required, yet more nutrients reach the blood and cells. Also, sprouts have a regenerating effect on the human body because of their high concentration of RNA, DNA, protein and essential nutrients that can be found only in living cells (synthetic supplements are not living food). This conviction was the inventors motivation to develop the world's best automatic sprouting appliance, intending to encourage the consumption of raw living food by all, for a healthier world! How much wheatgrass juice can the easygreen sprouter produce? season and the quality of the juicer machine used. In general, a large tray (equivelent to 5 small trays) will produce between 6 to 10 ounces of juice. Does the EasyGreen Sprouter provide enough light? good chlorophyll. Greens should be removed from the machine before maturity and placed in a sunny location for greening. All other sprouts are very sensitive to light and ambient light will suffice. How long is the growing process from seed to grass? The total time will depend on weather conditions, season of the year, quality of seed, difference between max/min temperature day and night. In general the complete cycle should take approximately 9-10 days, 6-7 days in the EasyGreen machine and 2-3 days in direct sun (outside the machine). Will one easygreen machine produce enough wheatgrass so I can juice a few ounces a day? No, one machine will not do that. If you purchased several machines, you would be able to. One small tray will produce about one ounce a day. Will the sprouter Sprout Beans, Seeds? What about Flax Seeds? What about nuts? It will sprout all bean and sproutable seeds. Flax is a gelatinous seed will partially sprout only when placed between 2 wet towels. Most nuts will not sprout. If you put raw shelled almonds in the machine, they will grow a small tail, but not sprout into a plant. What does the Easygreen Sprouter come with? Growing Area - 14.5" x 13.75"